SCF President/CEO Katherine Gottlieb joins other dignitaries at the ribbon-cutting ceremony for the new Ernie Turner Center. Tucked away in the woods of Eklutna, in a calm and serene atmosphere, is the Ernie Turner Center — a new 16-bed residential treatment center. The 11,526-square-foot center is located on a six-acre tract near Eklutna Village and features an arts and crafts area, a carving room, and a fitness center. The location allows for outdoor recreational and wellness activities including hiking, horseback riding, and gardening, as well as culturally relevant amenities, such as a therapeutic sweat lodge. The center is owned and operated by Cook Inlet Tribal Council and serves all individuals with addictions and/or mental health disorders recommended for inpatient treatment, as well as those experiencing chronic homelessness related to substance use. The ETC no longer provides detox services, but operates the residential treatment program for participants all around the state. ETC is a voluntary program with an average length of stay between 6-7 months. 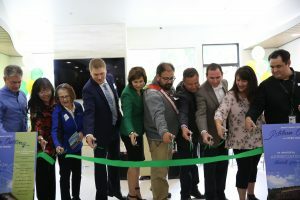 The new facility is not to be confused with the Southcentral Foundation Detox Program which opened its doors on January 1, 2017, shortly after purchasing the building located on Elmore Road in Anchorage. Formerly known as the Ernie Turner Center, SCF Detox is a 24-hour co-ed program that serves all individuals. Customers in the program work with trained professionals to safely withdraw from alcohol and drugs in a safe place staffed by medical professionals. SCF Detox is a voluntary program and the average length of stay is between 5-7 days depending on the customer’s withdrawal needs. Programs like Ernie Turner Center and SCF Detox are a step in the right direction to addiction recovery. For more information regarding SCF Detox call (907) 729-6690.